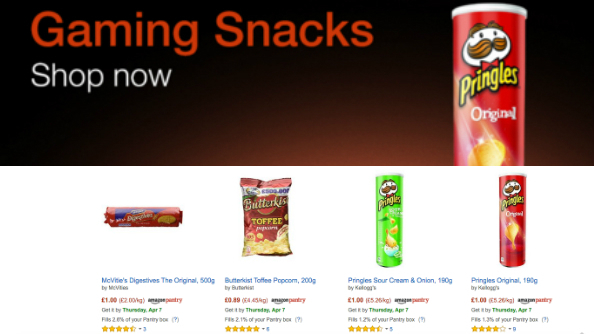 It’s PC gaming week over at Amazon, and while the majority of their flash deals focus on components on software, it also extends as far as ‘gaming snacks.’ The rationale presumably being as follows: you’ve just splashed out on a brand new GTX 980, so why not go ahead and chuck a tube of Pringles in the basket too? You know, for gaming? Perhaps the strangest revelation about this bizarrely specific food sale though is the ommission of both Doritos and Mountain Dew, the twin energy sources that have so famously fuelled the videogaming subculture since time immemorial. All jacked up on fizzy drinks and in need of an outlet? 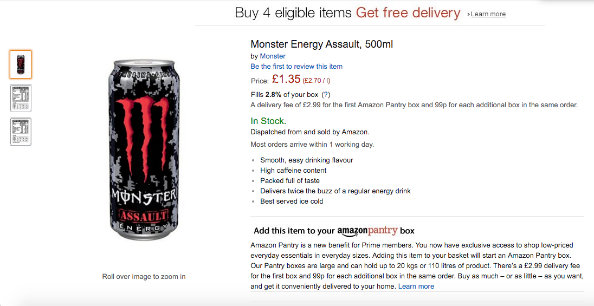 The best FPSgameson PC will suit your blood sugar levels. The gaming snacks sale is, however, a great time to stock up on all the other stables of our subculture’s required diet. 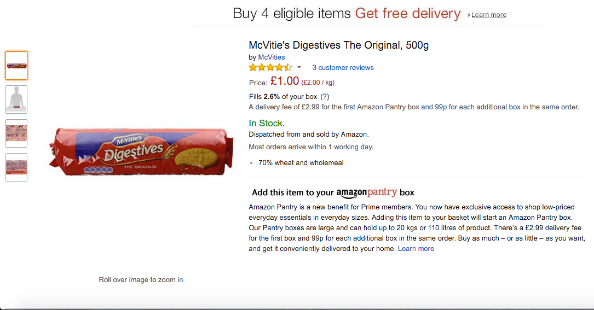 Like McVities plain digestive biscuits. Crikey, all the times I’ve just gorged myself on packet after 500g packet of those unflavoured wholemeal rusks during an all-nighter with Dragon Age: Inquisition, washing them down with mugs of tepid water. Heaven. Of course, the selection includes a much wider variety of biscuits, such as Fox’s Original Party Rings. I don’t think it’s at all judgemental of me to say that if I walked in on someone in the midst of a gaming session and saw them snacking on a feast of brightly coloured children’s party snacks, I’d immediately assume that person was a serial killer. The fact that I remain alive to this day is only testament to the validity of my stance. The sale runs throughout this week, giving you a good few days to stock up the pantry you have in your home specifically for gaming foodstuffs.